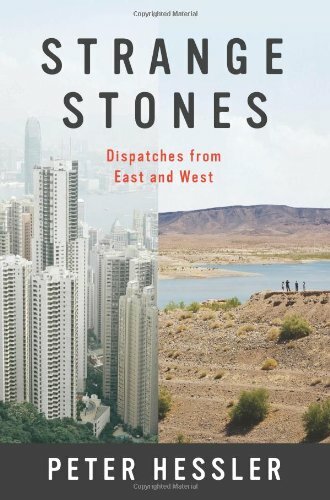 Full of unforgettable figures and an unrelenting spirit of adventure, Strange Stones is a far-ranging, thought-provoking collection of Peter Hessler’s best reportage — a dazzling display of the powerful storytelling, shrewd cultural insight, and warm sense of humor that are the trademarks of his work. I pitched my tent in the shadow of the fort. A small stream ran in the distance, surrounded by marshland, like a thin ribbon of green tied taut across this parched landscape. The sky was restless — fugitive clouds scattering across a dome of blue. At midnight the gusting wind shook me awake. It hummed across the Gobi, and whistled through the ruins, and I lay there listening to the same song that stirred soldiers in the days of the Han.